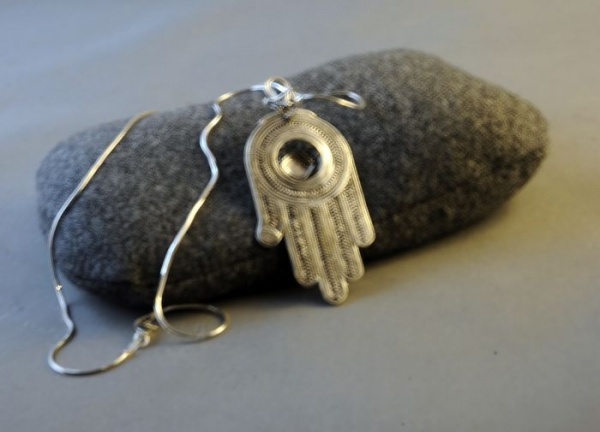 The Khamsa or Hamsa has been used for thousands of years as a symbol of guardianship and protection. 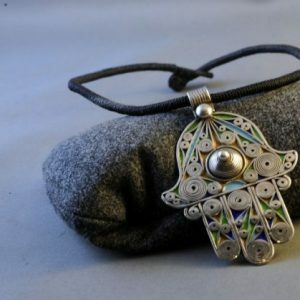 The sterling silver Yemenite Khamsa necklace, available for sale from Spectrum Arts Gallery LLC, is made from .925 sterling silver and crafted by seventh generation Yemenite artist Ben Zion David. 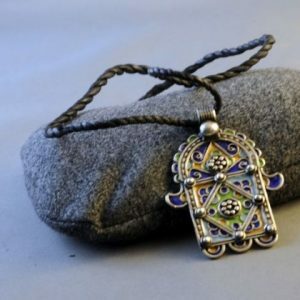 The Khamsa is approximately three inches tall, so it can be worn around the neck by either men or women or hung in your home. Beautifully crafted with intricate detail, the silver Khamsa is both a work of art and a tribute to history and heritage. 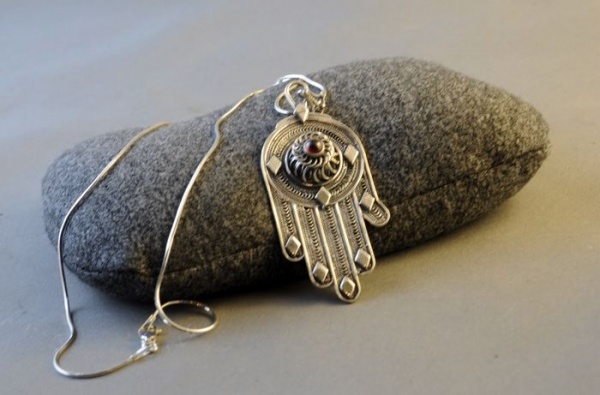 Order the Khamsa to keep in your own home or order a beautiful gift for a friend or family member.